Would you want to see this Volvo electric supercar turned into a reality? It’s no secret Volvo is making a big push for electrification. In the next few years, every model in the automaker’s line-up will be electrified , which will be getting a hybrid powertrain and an all-electric version. By 2025, Volvo wants electric cars to make up half its sales. A recent trademark filing also suggests a fully electric XC60 is coming. But what if Volvo made an electric supercar as a new halo model? After all, the and shows the Swedish automaker isn’t abandoning performance-focused models. Artist has produced a render showing what a Volvo-branded electric supercar could look like. Blending design cues from the Volvo Polestar Engineered S60 and , it looks as sleek as you would expect from a car with a Volvo badge. 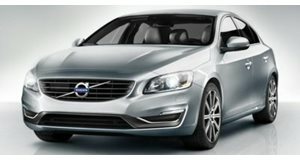 At the front, Volvo’s distinctive corporate grille and logo remains, but the headlights look a lot slimmer than the design seen on other cars produced by the Swedish automaker. 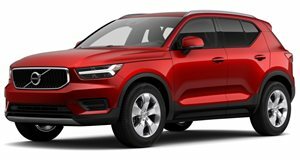 They still have a hint of Volvo’s signature Thor Hammer styling that’s synonymous with the brand, however. There’s also a low, bulging hood that complements the massive wheel arches. At the back, the raked windshield flows into what looks like a fastback design with a sloping roofline, resulting in a design that bears a strong resemblence to the Audi R8. There are no shots of the rear, but the hypothetical Volvo supercar appears to have a wide back-end. No potential powertrains were mentioned by the artist, but we can assume the car would be all-electric. The Polestar 1 that inspired it packs a hybrid powertrain producing 600 horsepower and 737 lb-ft of torque while offering an electric range of 93 miles, although future Polestars will be fully electric. As much as we would love to see Volvo make a halo supercar, it doesn’t make much business sense right now, so Prisk’s creation will have to remain a pipe dream for now.